There are so few women soccer coaches in Ecuador. Women’s sports in general have not been fully developed here. 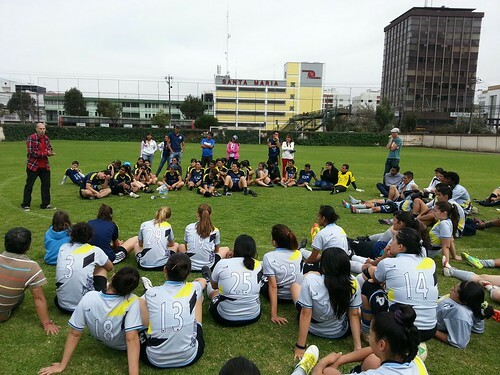 The truth is there are few opportunities for women in sports in general in Ecuador. Cumbre Alta means to change this. Last year we worked with a team that was playing at the highest level of Ecuadorian soccer for women. We were able to share Christ with our players. We helped younger players integrate into the highly skilled team. We provided uniforms. What we weren’t able to do effectively is to have a continued discipleship program. This was hard to do without coaches who were women. We NEED women soccer coaches. With coaches who are women it would be much easier for them to take our female players out for coffee, truly invest themselves in their lives, to share Christ in a more effective way. Pray for female coaches. Consider coming down if you are a female coach. 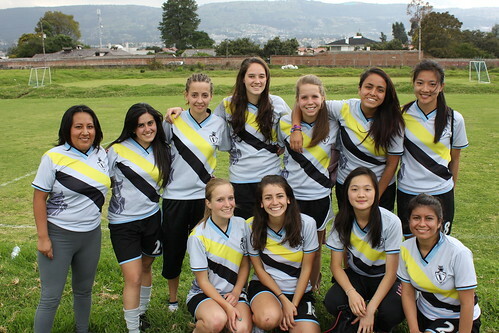 Women’s soccer in Ecuador needs you. Our girls need female coaches to look up to, talk with, share life with, to follow. We need you.